Published on August 20, 2017 in Bands/Artists, Downloads, Media, Music, Personal History, Retail and Vinyl. 0 Comments Tags: Aimee Mann, bandcamp, CD, download, game theory, Ken Stringfellow, Kickstarter, loud family, posthumous, scott miller, upcoming release, Vinyl. At the time of his death in 2013, Scott Miller of seminal power pop bands Game Theory and The Loud Family was working on a new record. He was in varying degrees of completed on a bunch of songs– some songs had vocals and guitar, some of them had detailed notes. 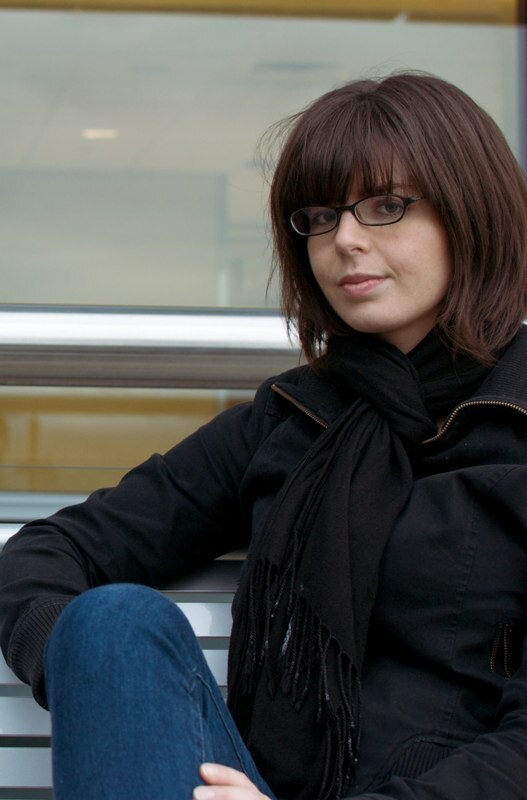 His wife Kristine reached out to Ken Stringfellow of The Posies to help coordinate finishing this record titled Supercalifragile based on conversations she had with Miller about the album (which, incidentally always included collaborations of singers and co-writers). 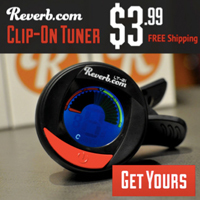 In May of 2016, a Kickstarter was established to help fund the completion of the record. By July 4th it was 161% funded! At the time of the launch of the Kickstarter, they had already been recording for over a year, so the fundraising was primarily to wrap up some of the sessions, get mastering done and the rest of the process to get physical and digital product completed and distributed. 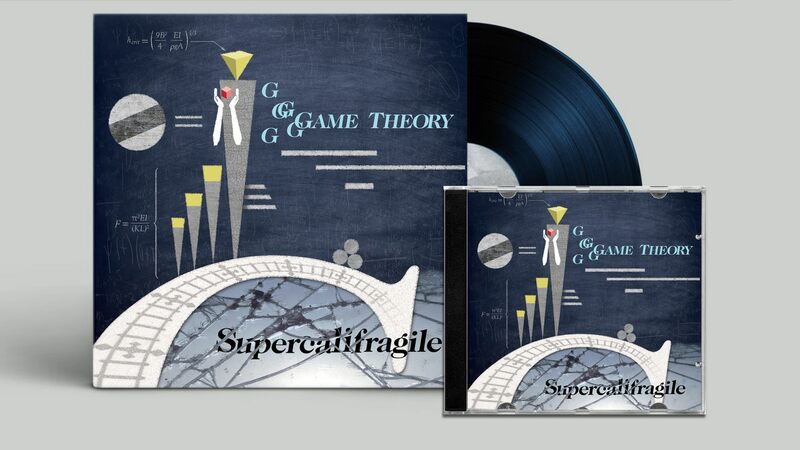 The list of contributors to Supercalifragile include former members of Game Theory (Jozef Becker, Nan Becker, Dave Gill, Shelley LaFreniere, Gil Ray, Donnette Thayer, and Suzi Ziegler) and notable guests including (of course) Ken Stringfellow (The Posies, R.E.M., Big Star), Jon Auer (The Posies, Big Star), Aimee Mann, Ted Leo, Peter Buck (R.E.M. ), Will Sheff (Okkervil River), Doug Gillard (Guided By Voices, Nada Surf), Mitch Easter, Alison Faith Levy (The Loud Family), Anton Barbeau, Jonathan Segel (Camper Van Beethoven), Allen Clapp (The Orange Peels), John Moremen, Stephane Schuck, Chris Xefos, Dan Vallor (GT Reissue producer for Omnivore), The inclusion of the former Game Theory members helps add continuity of this release to the Game Theory catalog, which has enjoyed renewed focus in the Omnivore Recordings reissues. In a post to the Facebook group dedicated to Scott Miller, his wife has posted a lot of wonderful insight into how she and Stringfellow curated the release. In August of 2017 the finished product was shipped out to everyone who contributed to the Kickstarter and early reviews and posts to the Facebook group have been glowing. Now that the Kickstarters have been shipped out the team is ready to make the release generally available. In an email sent to people who signed up from the website, the album will be available on Bandcamp (the link isn’t available yet) this week: August 24th in download, CD and vinyl. Tidal featured the first song from the album, a duet with Aimee Mann called “No Love” and it is striking how Mann’s vocals compliment Miller’s. Here is a video of a rough take of “I Still Dream of Getting Back to Paris” shot at Abbey Road Studios in London during the recording sessions with Anton Barbeau on vocals. Miller (credited as The Loud Family) and Barbeau put out a kind of split release in 2006 titled What If It Works? As a long-time fan of Scott Miller’s work, I’m really looking forward to getting this release. Like many, Miller’s sudden and unexpected loss was painful; too early in a career arc that certainly would have generated more significant releases. Supercalifragile brings some closure with this release in that regard and should provide influence for future artists the way the Big Star catalog has. Published on September 1, 2010 in Bands/Artists, Eastern Iowa, Music, Out and About, Personal History, Reviews and Vinyl. 0 Comments Tags: Beth Bombara, Cassie Morgan, donation, Kickstarter, Live, Robotic Foundation, The Lonely Pine, Vinyl. One of my favorite indie releases from 2009 was an EP by St. Louis singer/songwriter Beth Bombara titled Beth Bombara and the Robotic Foundation. The six-song self-released CD by Beth was a stylistic switch from the pop-folk of previous solo effort Abandon Ship by pulling in some indie rock distortion and edginess that recalled Bettie Seveert. In particular, I love the harmonies on the track “Lights” which ended up on a bunch of my roadtrip mixes this past year. You can listen to “Lights” in the player below. For her next release which will be a full-length, Beth is taking a slightly different approach describing her folk and blues pastiche as “Jenny Lewis Meets Muddy Waters.” I raise a questioning right eyebrow at this, however you can judge for yourself as she’s included some of the tracks-in-progress in the ReverbNation player below: “Lately” and “Can’t Win” at the top of the list are in a more country-influenced vein. I’ve been playing “Lately” a lot. I like the slightly off-key and off-time darkness about it. “Can’t Win” is a fiddle-adorned honest-to-goodness country two-step! She’s also giving away a another new track titled “Rainbow” in exchange for an e-mail address that continues some of the country-tinged feel, and I think vocally draws a very pleasing comparison to Natalie Merchant. Beth wants to release this next album on vinyl and has done all of the math to determine she is going to need around $2,000 to get it done. She feels that a vinyl release of her new album is really important. So, Beth put together a Kickstarter drive to raise the money needed to get the project done. A month ago she asked for some video of people talking about why they like vinyl records and she put these clips in the introductory video on the Kickstarter page. I gave her a clip which she used as well (which would be the first time I’ve put any kind of video of myself on the Internet!). When Beth isn’t recording her solo music she is half of the duo known as Cassie Morgan and The Lonely Pine. In this duo, Beth plays everything from percussion to toy piano and glockenspiel in addition to adding some really gorgeous harmonies for Cassie. Their album Weathered Hands, Weary Eyes came out earlier this year and they are soon kicking off a tour through the Midwest where Beth will be performing some of her own songs. Watch this blog for more details as the firm up. Please check out the samples in the players below, sign up for her mailing list and if you feel as moved as I am by her music, consider throwing some support to her Kickstarter Project. She has many different tiers for donation with a number of different “bonuses” from the vinyl release at $20 all the way up to a private show at the $300 and $500 tiers! While you’re at it you can see my contribution to her video. (Be gentle!) She’s got less than 24 days left in the campaign and is less than halfway to her goal. I’d hate to see her have to go back to square one. Published on August 7, 2010 in Bands/Artists, Downloads, Eastern Iowa, Music, Out and About, Personal History, Reviews, Upcoming Show and Vinyl. 0 Comments Tags: "You Never Know", 7", CD, donation, drive, Dwellephant, Kickstarter, Lamb, Lion, Live, LMNTlyst, LubDub, Pezzettino, show, video, Vinyl. Margaret Stutt who goes by the nom d’cordion Pezzettino has collaborated with Milwaukee-based producer LMNtylist on her follow up to her 2009 release Lion. Titled LubDub, it is a 10-track EP of, well– I guess they are love songs. Well, maybe not all of them are love songs, but certainly they are related to love and appear to be roughly arranged in a timeline of a love affair that is having some fits and starts getting off the ground. Anyone who knows Margaret well knows that she is constantly catering to her muse– typically recording inspired fragments of song anywhere and anytime they show up– many songs were written behind the wheel of her now-departed Civic on the long drives between the gigs on tour. It was a collection of these fragments that she gave to Milwaukee HipHop producer LMNTylist who was interested in trying his hand producing some pop songs. When she stopped through Cedar Rapids in January she played me the rough mixes that she had just received. 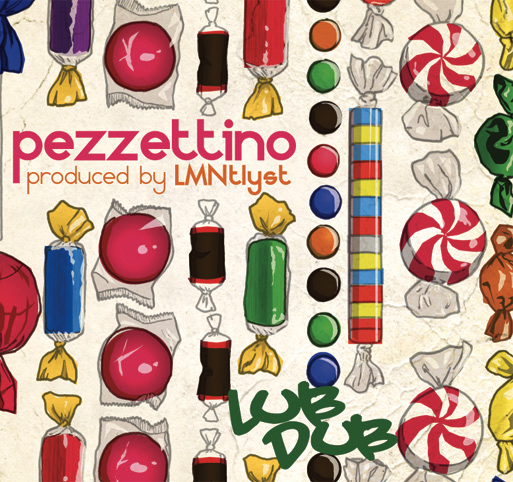 I was at once shocked and excited at what I’d heard– the lead off track for LubDub “Replay” was pretty much cemented at that point as was “Cold Hard Chick.” This was a dramatically different direction for Pezzettino– she had given over to the production and the resulting songs still showed the fun and humor typically found in her music, but now had rhythm and were… funky! So, maybe it is fitting that the more mild-mannered Lamb would be quickly replaced by a more determined and immediate electronic release in LubDub. I guess the chops of Lamb will get to spend some more time slow cooking. LubDub will be available for download on September 7th and on 12″ colored vinyl later this fall. Pezzettino has a Kickstarter drive going to attempt to raise the $1000 needed to press the vinyl. After an impressive week, she has raised over half of the funds and, at the time of this writing, still has over 30 days to go! Donations range from $1 to $1000 and have varying levels of perks at each level. Any donation over $15 gets you some copy of LubDub with pledges over $20 getting you the vinyl and the CD version of it along with four bonus tracks. Other levels get you things like cookies, her dress from the “You Never Know” video, private performance, or the ability to determine the next cover songs in her popular cover series. Click on the kickstarter widget below to see what your options are to help get this great release out. The fantastically appropriate album art (shown above) was done by LittleTinyFish. In the middle of these shows is a quick run of the Midwest that includes stops in DeKalb (9/12), Iowa City (9/15 at The Blue Moose Tap Room), Omaha (9/16), Des Moines (9/18 at Vaudeville Mews) and Boulder, CO (9/23). Visit her MySpace Page to keep up to date on this tour. This tour is going to be the first time in a while she has toured with a small band– so I’m looking forward to these shows! Click Here for LMNTylist’s MySpace Page. The Time to play b-sides archives for the kickstarter tag.